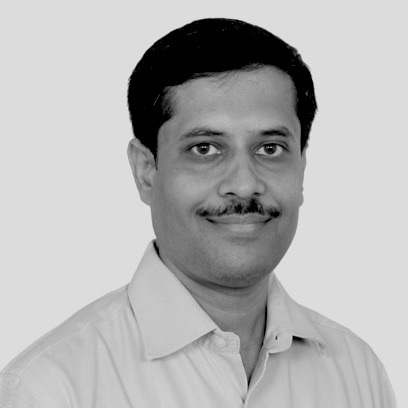 Ashish is co-founder and COO at BRIDGEi2i. He manages service delivery operations, finance, and capability development. Ashish brings in over 17 years of strategy and analytics experience supporting financial Services, insurance, hi-tech clients in the areas of marketing, pricing and risk management. In his last role, Ashish was leading consumer analytics business at Genpact. Earlier, he established risk and pricing analytics center of excellence for GE Capital. In his role as Master Black Belt (MBB), he identified ways to leverage Six Sigma concepts in analytics, leading projects to make analytics service delivery robust and driving innovation. He also brings rich experience in strategy, mergers, and acquisitions (M&A) through his role with M&A team at Genpact, helping build inorganic growth strategy, identify opportunities and manage the entire deal process. He played a key role in closing four strategic acquisitions and two carve out transactions. He holds a Masters degree in Statistics from Indian Statistical Institute, with specialization in Quantitative Economics.